Photo-rejuvenation using IPL is a non-invasive treatment that can treat skin damage without disruption of the skin’s surface, hence, “no down time.” Several treatments (four to six) are usually necessary and are typically performed 3-4 weeks apart. IPL is like a laser, but it works with multiple wavelengths instead of just one. 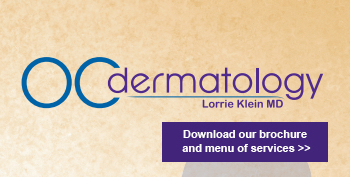 We use the Lum, the most state-of-the-art, advanced IPL technologies available. Because of this advanced technology, better results and fewer treatments are expected than with most other IPL devices. The example above is an actual patient of Dr. Kleins, after only a single IPL Treatment. (Black line is only to distinguish treated from untreated sides.) The example above is an actual patient of Dr. Kleins, after only a single IPL Treatment. (Black line is only to distinguish treated from untreated sides.) Other treatments can also be scheduled between IPL sessions. To maximally reduce redness, rosacea and face veins, V-Beam laser alternating with IPL may be recommended. For enhanced facial rejuvenation and wrinkle smoothing, Fraxel laser is recommended between or after IPL treatments. IPL alternating with Smoothbeam laser sessions can reduce redness and scarring, and clear acne. Pelleve can be combined with IPL to tighten skin. Microdermabrasion can also be scheduled between IPL visits for faster removal of brown pigmentation. Typically these treatments alternate with IPL visits every 2 weeks. 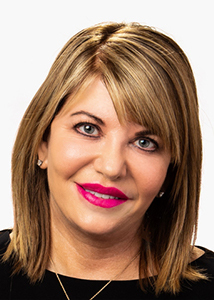 IPL Photo-rejuvenation enhances overall cosmetic improvement when used with BOTOX®, Restylane, Juvederm® Radiesse®, Bellafill® and other cosmetic procedures. 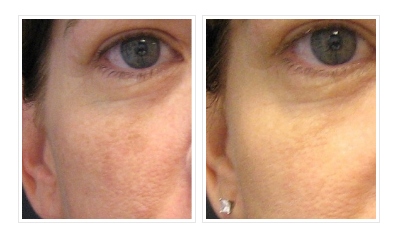 Our Fraxel Dual Laser Peel is another treatment we use for brown discoloration. It does not treat redness, rosacea or facial veins however. Ask us about this treatment if you only have brown discolorations. Treatments are well tolerated and usually do not require an anesthetic. You will feel some stinging, like the snapping of a rubber band, and some burning, like a sunburn. We do offer a topical numbing ointment to apply 1 hour prior to your appointment time if desired. Most treatments take 20-30 minutes or less. You must not be tan on the treated areas! Avoid self-tanners for 2 weeks prior to your appointment. Purchase numbing ointment from our office prior to your visit if you wish to apply it 1 hour before your appointment for enhanced comfort. After IPL your skin will appear red for up to several hours. You may also develop a brown, freckled appearance, which looks like “coffee grinds”. This occurs in areas of brown pigmentation and can last several days to a week. If Levulan or higher power levels have enhanced your treatment, crusting, redness and bruising may occur.